In recognition of Valentine’s Day, we take a spin through history’s greatest lovers—star crossed, cursed, lifelong and everything in between. 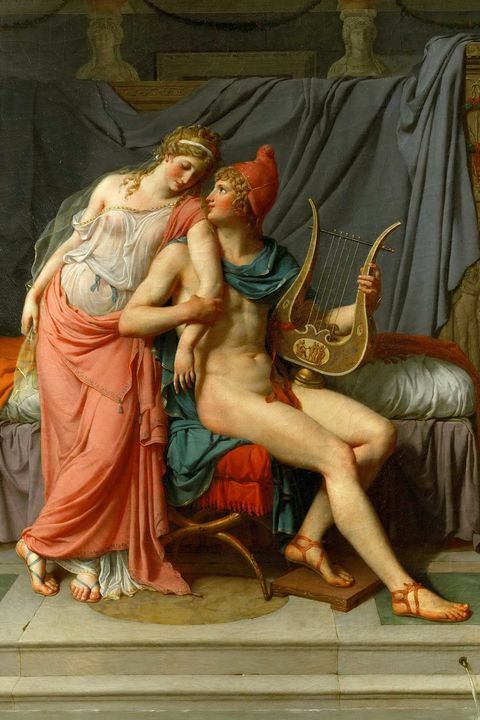 Couples in love have caused wars and controversy, created masterpieces in the arts and captured the heart of the public. From the allure of Cleopatra to the magnetism of the Kennedy’s, these love affairs have stood as markers in history. Be prepared to swoon. Cleopatra, the queen of Egypt, could have had anything or anyone she wanted, but she fell passionately in love with Roman General Mark Antony. ”Fool! Don’t you see now that I could have poisoned you a hundred times had I been able to live without you,” declared Cleopatra. 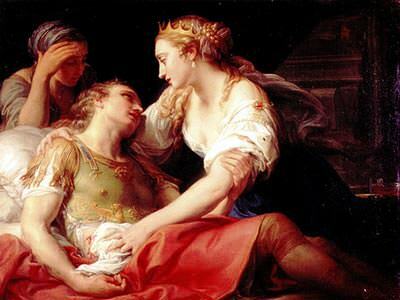 But in 30 B.C, after they risked all in a war on Rome and lost, they chose to die together, ”I will be a bridegroom in my death, and run into it as to a lover’s bed,” said Antony. Cleopatra followed, by clasping a poisonous asp to her breast. We’ve heard of “The Wall” —no, not that one, the second-century A.D. one attributed to Emperor Hadrian that stretched across England. 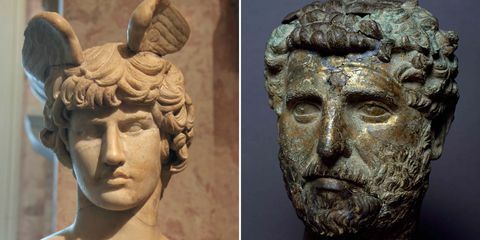 As for his heart, the ruler lost it to Antinous (on the left), an intelligent and sports-loving Greek student, displaying “an obsessive craving for his presence.” While visiting the Nile, Antinous drowned mysteriously, but some say he was murdered by those jealous of the emperor’s devotion. The devastated Hadrian proclaimed Antinous a deity, ordered a city be built in his honor and named a star after him. 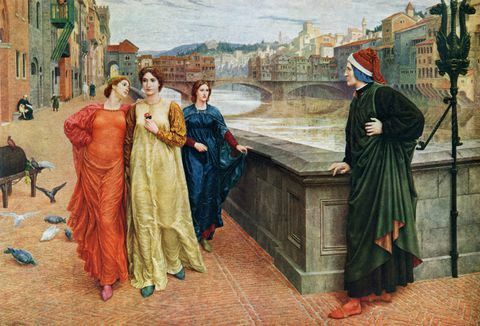 The English king had a rich, royal wife in Eleanor of Aquitaine and mistresses galore, but the love of his life was “Fair Rosamund.” To conceal their affair, Henry built a love nest in the innermost recesses of a maze in his park. 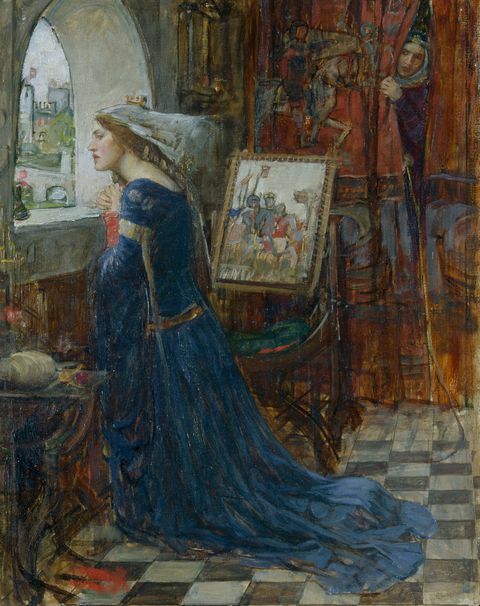 The story has it that Queen Eleanor did not rest until she found the labyrinth and traced it to the center, where she uncovered her ravishing rival. The queen offered her death by blade or poison. Rosamund chose the poison. 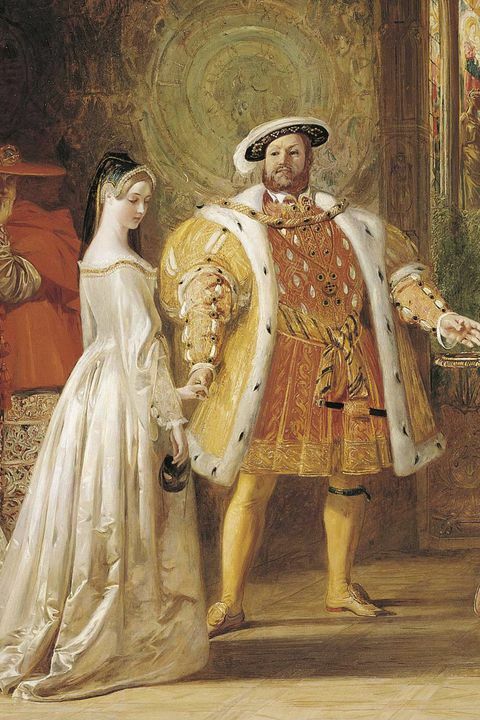 In retaliation, Henry kept Eleanor confined in prison for 16 years of their marriage. When the Tudor king fell for a young lady-in-waiting, Anne Boleyn, he was long married to a Spanish princess. But Anne refused to be a royal mistress, and the king won his divorce to make Anne queen. To comprehend the king’s passion, one need only read his 16th century love letters, revealing his torment over how elusive she remained: “I beg to know expressly your intention touching the love between us…having been more than a year wounded by the dart of love, and not yet sure whether I shall fail or find a place in your affection.” Unfortunately for Anne, unrequited love took its toll and the king had her beheaded. 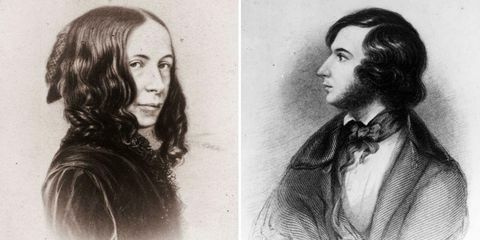 The 40-year old Elizabeth Barrett was an accomplished and respected poet in poor health when Robert Browning wrote to her: “I love your verses with all my heart, dear Miss Barrett,” and praising their “fresh strange music, the affluent language, the exquisite pathos and true new brave thought.” They courted in secret because of her family’s disapproval. She wrote, “I am not of a cold nature and cannot bear to be treated coldly. When cold water is thrown upon a hot iron, the iron hisses.” They married in 1846, living among fellow writers and artists for the rest of her life. When she died, it was in Robert Browning’s arms. The talented young Mexican painter Kahlo paid a visit to the studio of famous muralist Rivera in search of career advice. “She had unusual dignity and self-assurance and there was a strange fire in her eyes,” he said. 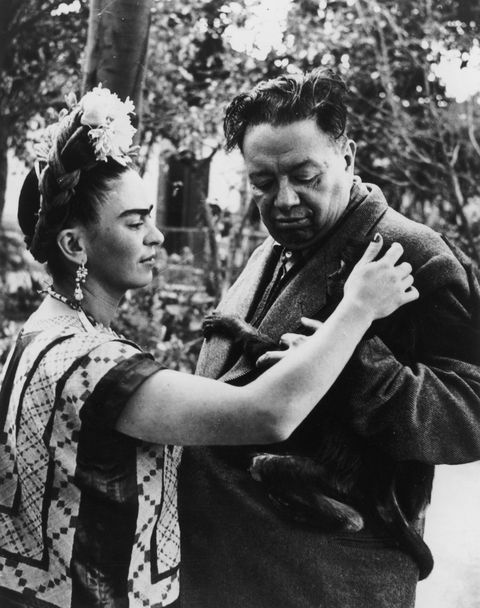 Theirs was a volatile relationship, yet Rivera knew from early on that Kahlo “was the most important fact in my life” and she would continue to be until she died 27 years later. 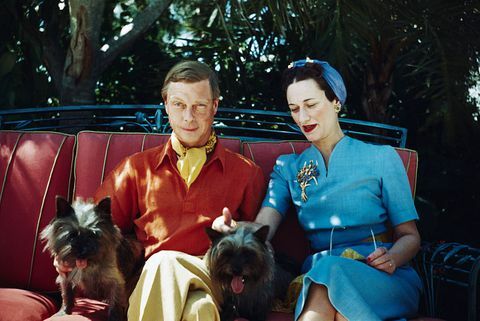 When Edward VIII fell in love with American divorcée Wallis Simpson it was an affair that shocked a nation. Due to strong opposition from the church and government over their marriage, Edward chose to abdicate the throne. “I have found it impossible to carry the heavy burden of responsibility and to discharge my duties as king as I would wish to do without the help and support of the woman I love,” he said addressing the nation in 1936. Choosing love over kingship, the couple married and settled in France. 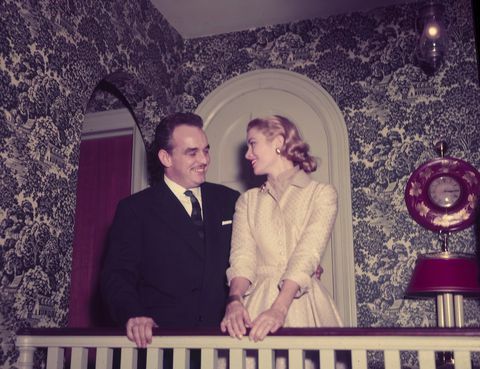 Prince Rainier was immediately taken with Grace Kelly, whom he met when she filmed To Catch a Thief on the French Riviera. He courted her through letters before the couple announced their engagement in the Kelly’s Philadelphia home. Wed in 1956, the American film star left Hollywood behind at the height of her career. After Grace’s fatal car crash in 1982, Prince Rainier never remarried. CAROLYN BESSETTE and JOHN F. KENNEDY, JR.
Indicative of their desire to keep their relationship private, Carolyn Bessette and John F. Kennedy Jr. secretly married on a small island in the outer banks of Georgia. Try as they might to live under the radar, their ups and downs were fodder for the paparazzi. As their love for one another became evident, public attention mounted and the couple became an iconic duo. 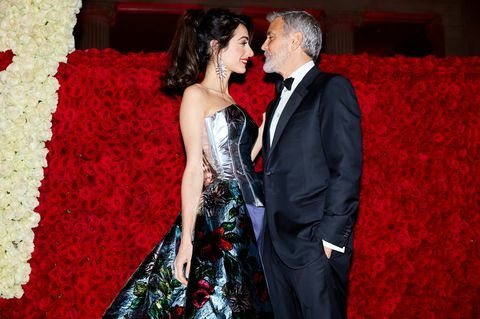 Sadly, their lives were cut short when the couple tragically perished on July 16, 1999 in a plane crash piloted by JFK, Jr.
George Clooney, the Hollywood heartthrob and confirmed bachelor, falls for Amal, a brilliant human rights barrister. Sounds like a movie script, which makes this love story even more sweet. 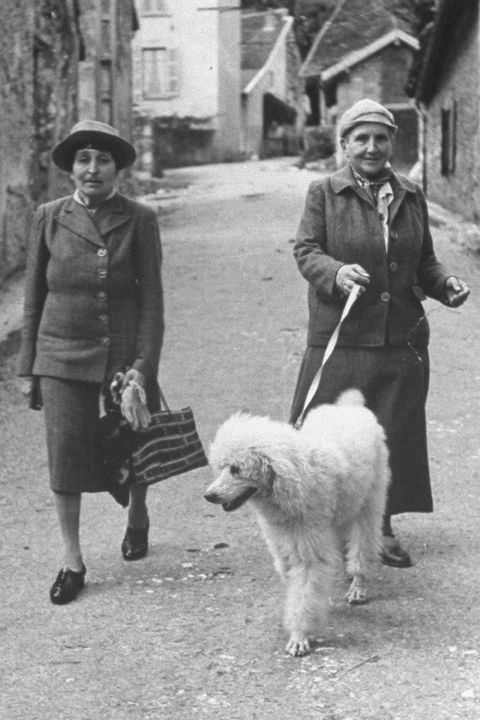 Introduced by a friend, the two began exchanging e-mails that Clooney comically penned as his dog Einstein. After six months of dating, while preparing dinner, he proposed to the song, “Why Shouldn’t I?” The couple balances their careers as well as parenting twins Ella and Alexander. Theirs is a love story that captures our hearts. Meaghan, an American divorcée and TV star, has been warmly accepted by both the royal family and the British public. 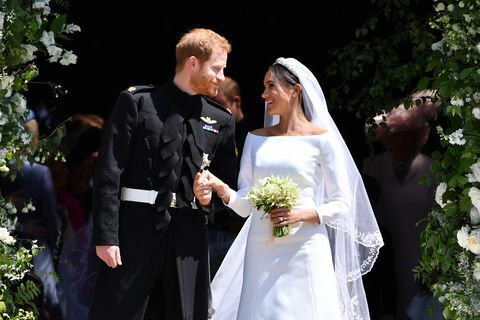 Married last May, Harry popped the question while the two were roasting a chicken at their apartment in Kensington Palace. Giving a modern take on the next generation of monarchy, the couple eagerly awaits the arrival of their first child this April.